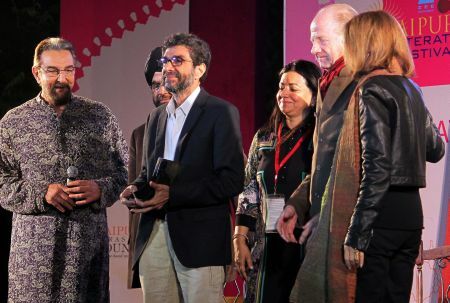 Cyrus Mistry has been honoured with 4th DSC prize for South Asian literature at Jaipur Literature Festival 2014. He received the $ 50,000 prize for his book "Chronicles of a Corpse Bearer" beating tough competition from other 5 finalists. The annual award is open to any authors who writes about South Asia with themes such as culture, politics, history, people etc. Only original full-length novel written in English, or translated into English are eligible for consideration. The novels must be published in the year preceding the year of award. The prize was instituted in 2010 by the sponsors of 'Jaipur Literature Festival' DSC Limited - an Indian infrastructure and construction company. Which of the following best defines Cognizable offence in Indian context? 1. Offences where, the complainant (i.e. the victim) is allowed to enter into a bonafide out of court settlement or compromise with the accused. 2. Offences in which police can make an arrest without a warrant and start an investigation even without the permission from court. 3. Offences which are non-bailable and with the minimum punishment of 7-year confinement.